Worldwatch’s flagship publication, State of the World, has educated a broad audience of students, journalists, policymakers, and concerned citizens about trends in sustainable development for a quarter century. 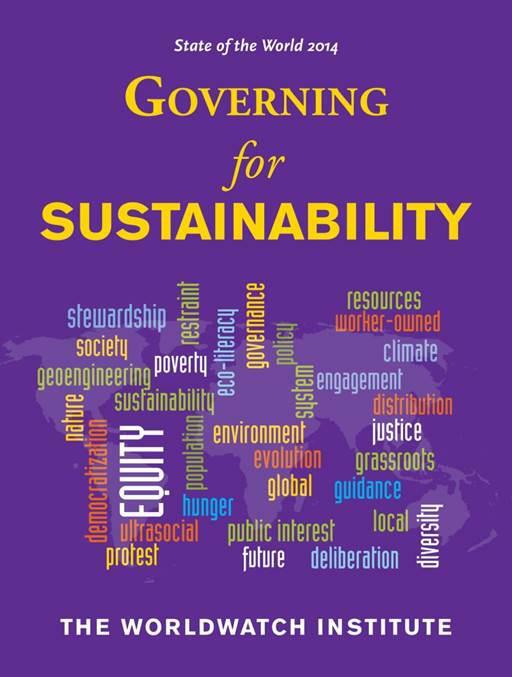 The book has been published in 36 languages, and over the years it has authoritatively assessed issues ranging from population, energy, and agriculture to materials use, health, and trade policy. Topics are covered from a global perspective, with an emphasis on innovation and problem-solving. State of the World is recognized as a classic of environmental literature, having attracted luminaries from Kofi Annan to Mikhail Gorbachev to write forewords for the book. News media, policymakers, and NGOs worldwide cite the book for its cutting-edge analysis, reliability, and careful documentation of its arguments, all marshaled to speed the global transition to a sustainable world.